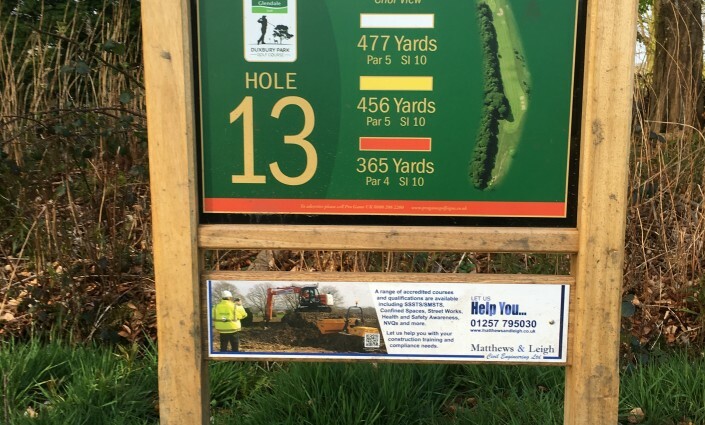 Matthews & Leigh Civil Engineering Ltd are delighted to be the sponsor of hole 13 at the prestigious Duxbury Park golf course, Chorley in association with Glendale Golf. The 6390 yard 18 hole Championship Golf Course, designed by the famous Hawtree family back in the Queens silver jubilee year, has been laid out around the original historic grounds of Duxbury estate. The 180 acres of rolling Lancashire countryside provides a challenge for both amateur and professional golfers alike.